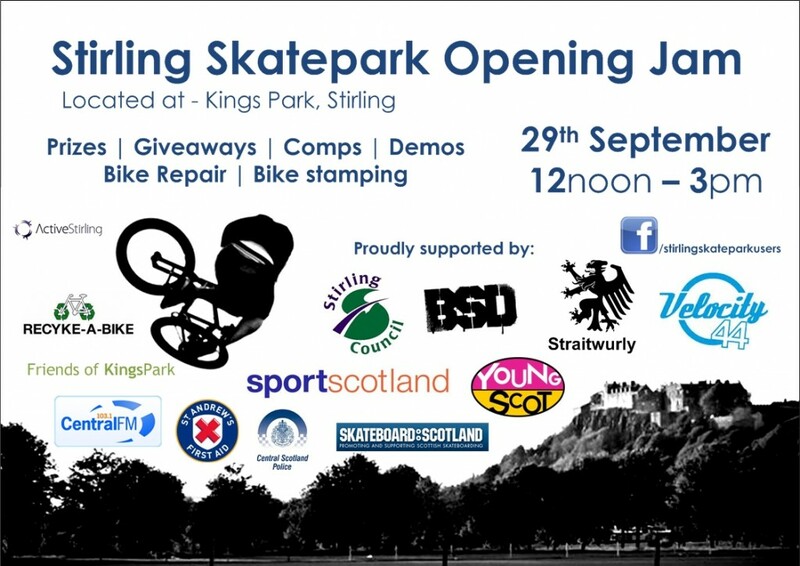 Skateboard Scotland have organised a wee demo at the new Stirling park for the Official opening Event on Saturday the 29th of September. There is going to be a BMX jam later. so if you want a shred you might want to get there earlier rather than later.